All it took was a simple shift of four inches. Four inches for every aisle in the store, that is. 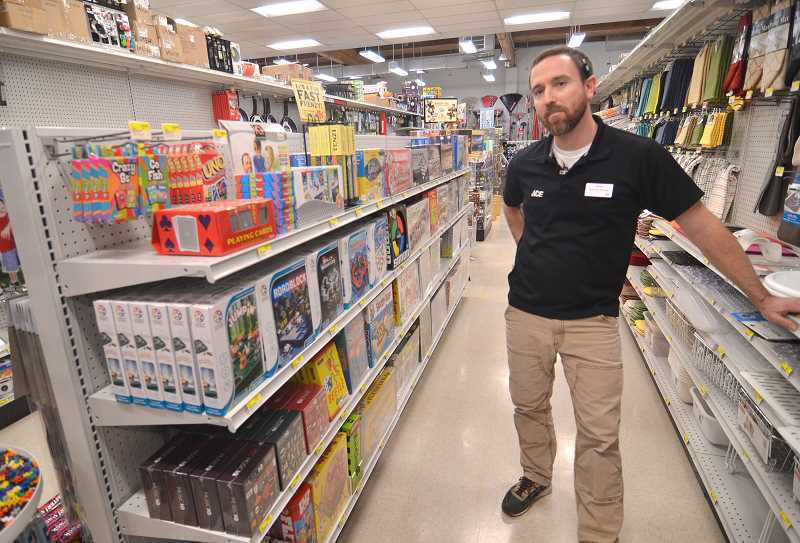 But those shifts enabled Lake Oswego Ace Hardware to add another 135 feet of linear space. "We needed more space, but couldn't expand our footprint," said Stuart Dunis, one of the store's managers. "So we figured out how to shift shelving to get the space we needed. We are proud of how it turned out, and how the extra space allows us to serve our customers better." A longtime Lake Oswego resident, Dunis recognized the community didn't have access to products offered by stores that had closed in recent years. Most notably lacking was a place to buy the cards, toys, puzzles and housewares that used to be sold at Graham's Book and Stationery, and locally sourced culinary treats which previously filled the shelves at Wizer's Fine Foods. Kaitlin May, the store's assistant manager, operations manager Ryan Meeks and Dunis put their heads together to figure out how to get the space needed to add the desired products. "Ryan figured out how to get the additional space," Dunis said. "And Kaitlin set about ordering the products we wanted." Be assured the trio did not pack the store with run-of-the-mill items. You will find unique items like books by local authors; refrigerator magnets bedecked with vintage Lake Oswego photos; gourmet food items like local honey, coffee, toffee, nuts and candies; all occasion greeting cards, wrapping paper and housewares and toys, toys and more toys. Plus the regular lineup of tools, gizmos and gadgets that are Ace Hardware staples. 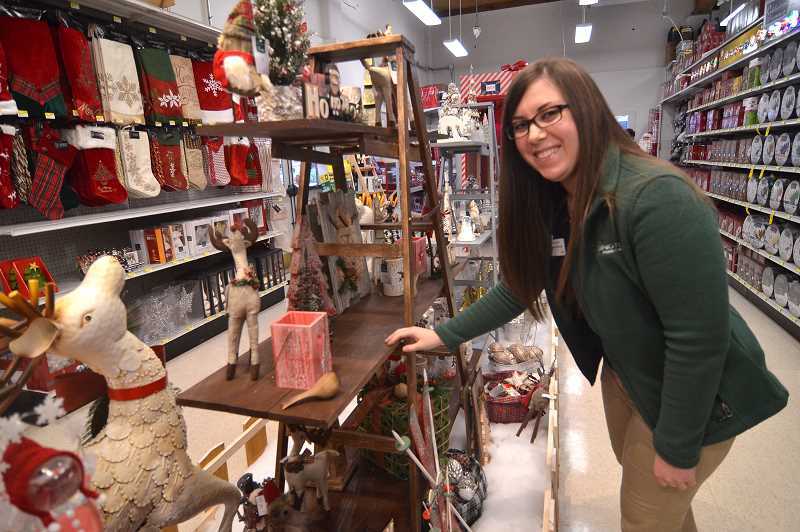 The seasonal aisle — now used for holiday items — is truly a treat for all ages. The shelves are stocked with vintage and traditional toys and classic games, arts and crafts kits and other delights. Be sure to check the decoration aisle and visit Santa's House, a closed in projector room. "Ryan built this," said Dunis. "You can see exactly how that holiday projector will look on your house in this room." And don't miss the treasured vintage General Foam Plastics Corporation lighted figures — if there are any left you better pick them up fast. 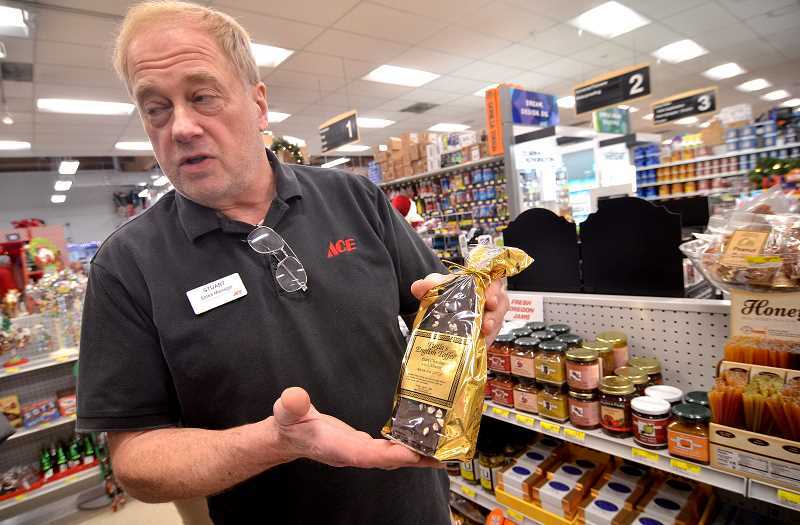 Dunis says Ace Hardware considers itself the community hub; where people come to see their neighbors and where they know they will find what they need. system that can support the whole store. "That storm shut down the whole city," Dunis said. "With our new backup power system we will be open and available as a warming center, and to supply you with whatever you need to weather the storm." Dunis remembers the days when the shopping center was the community hub, and he aims to rebuild citizens' reliance on Ace to be the place to come. The company supports local events like the Lake Oswego farmers' market, events for Lake Oswego Preservation Society and Lake Oswego Heritage Council, area schools and more. "We want to be the hub, the public meeting place," he said. "We want to bring back that community feeling." To that end, he has invited the local high school music groups to perform each Saturday from 1 to 3 p.m. at the store. 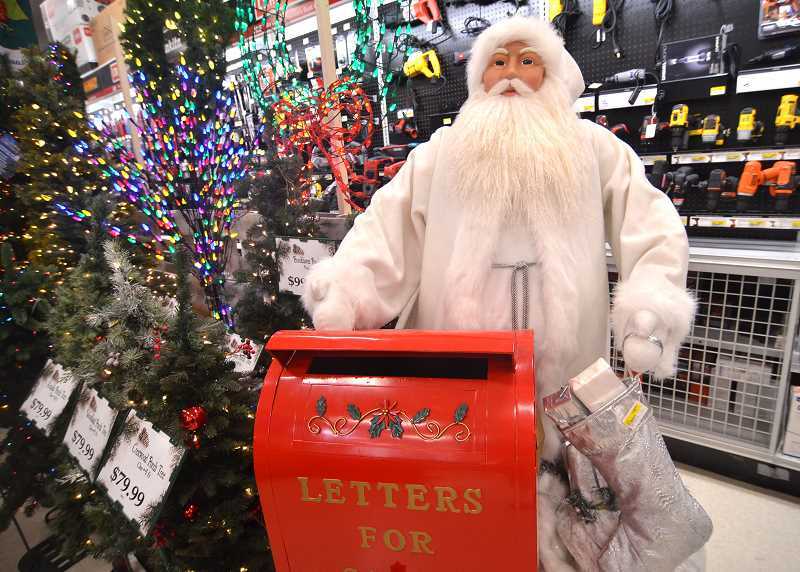 They also have a vintage mail box where kids of all ages can mail letters to Santa. "Come and get some good ol' fashioned holiday cheer!" he said. Dunis said that since owners Greg Breiseth and John Linngren purchased the business in 2003, "it has flourished and grown continuously to what you see now. We are indeed proud of our successes but remain humble to our roots and the community." Lake Oswego Ace Hardware is located at 55 S. State St. in downtown Lake Oswego. Hours are 8 a.m. to 7 p.m. Monday through Friday and 9 a.m. to 6 p.m. Saturday and Sunday.